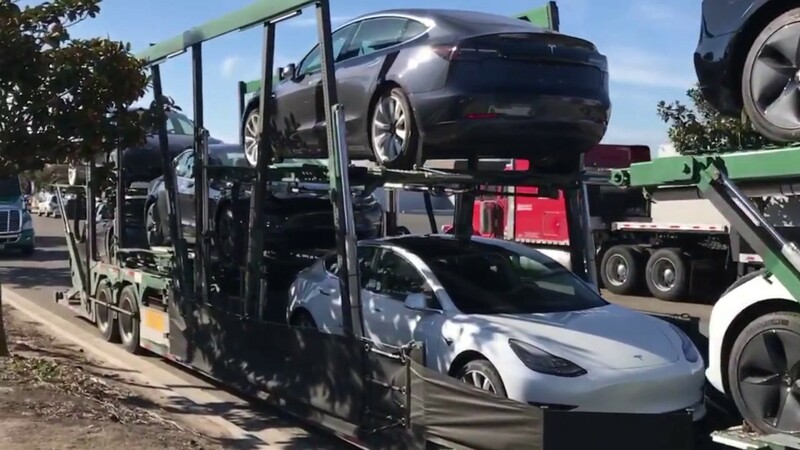 Elon Musk has confirmed today that Tesla has acquired trucking companies to make more deliveries of its popular Model 3 electric sedan. Time is running out for Tesla Model 3 buyers to cash in on the full $7,500 federal EV credit, which is set to change after December 31, 2018. The credit was set to start winding down once an automaker shipped 200,000 EV’s. The Palo Alto, CA-based EV maker hit that bitter sweet benchmark of 200k units sold earlier this year, which we must say is quite impressive for a company not even 15 and-a-half years old. They originally posted on their website that customers had until October, 15th to order their vehicles and still receive the full $7,500 tax credit. A stipulation on the incentive is that its counted when customers take delivery of their new electric vehicles. Not when purchased or ordered. That original deadline was given when the company was in ‘delivery hell’ as we reported on in September. Today Musk confirmed via Twitter that the company recently acquired an unknown number of trucking companies, as well as secured new contracts with national carriers which has greatly reduced the lead time for new orders getting shipped out. This goes for the Model X and S, too. Now the firm can make deliveries much quicker, and has pushed its deadline for customers to purchase and receive the full EV $7,500 tax credit out to November 30th (15 days from now) thanks to its newfound trucking capacity. Based on this, Tesla has slashed 6 weeks from its first delivery forecast estimation. In other Tesla related news, the company has slashed its solar panel prices, which is claimed to save the average home owner $3,000 to $5,000 in panel costs, or around 20 percent of the total installation cost when factoring in installation labor and roof modifications etc. ‘Vertical integration’ is cited as the driving force for the price drop. The firm has ended door-to-door sales activities (a higher cost way to sell systems), as well as call centers it inherited from Solar City. Now the panels are marketed inside Tesla retail locations which helps leverage their existing footprint while marginally increasing operational costs. It also helps that Tesla is increasingly relying on in-house solar panels instead of third party components. Components and systems produced at its Gigafactory 2 are made at very low prices compared to the global market for solar panels, even units coming out of China. By going after its existing network of car-buyers, Tesla is able to push both its home solar panels and its Powerwalls, which enables people to capture energy from the sun, store it locally at home, and then charge their Tesla vehicles with that same power. By creating an ecosystem of products that play nicely with another, it seems Elon Musk has taken a page out of the late and great Steve Jobs’ Apple playbook.